the flat areas in north germany are still missing. In north germany are some hilly areas in real life too. that´s right, but some areas looks too hilly. I like the area from Hamburg to Hannover, Hamburg to Bremen and Bremerhaven and Hamburg to Berlin as they are in Promods 2.27. For me they are looking very similar to the region like is in reality. I know that it is a part of your orders to build the SCS map friendly to older computers, so thar people with a weak PC can also play. But Promods did their job without these efforts and they made a flat north germany where in some areas you can look to the woods or villages far away. I wish not to lose this sight. For the next "Promods-Germany" i hope you keep these flat landscapes. Use all the new textures and new 3D Models that are useable for you, make all the stuff from all DLCs in it, if needed. The new SCS Work looks very good, no doubt. But i hope the new Promods Germany will benefit from it. Please keep the good cities. Like Hamburg: take the new harbour area, by the way the Elbtunnel looks very awesome, and make the old road layout useable again, let us further drive over that beautyful Köhlbrandbrücke.. I loved to have my company at Hamburg next to the city and drive through the tunnel or over the Bridge to reach the industrial area and port area to get my freights . Or Berlin, please make it with the new Grafics but like the old as it was in Promods. Same goes for all the other cities. But if i guess i think that is what you´re gonna to make. Because i have seen the 2.30 Beta at Chris Maximus Video and if i see what you did to London... wow what a great city !!! and why should you leave germany with standart cities. 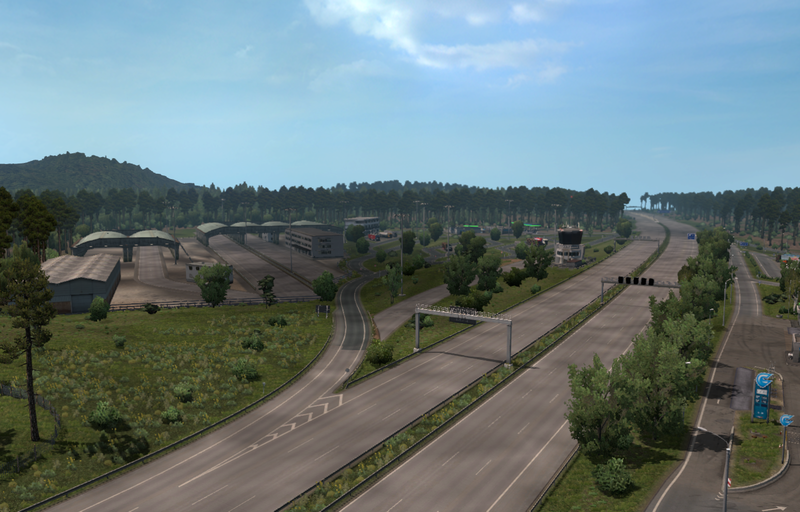 i think and hope that great work from promods in germany will happen again and then we will have a really great map ! And even if it take some time, i am looking forward to new areas in germany. maybe the Elbe Weser Dreieck (A27 from Bremerhaven to Cuxhaven and B73 to Hamburg. Maybe a correction of A31 which is not leading directly to the netherlands. I have a little wish if possible for the future. Make a little driveable Harz-mountain area. Like TSM made. I know there is not much place, but the made it with two drivable cities, or one and the Brocken as driveable place. And they made it very beautyful. But as written it´s a little wish for the future. For now you have to deal with the parts of germany and what Promods will gonna make it of ..
Best wishes und many thanks for all the good work to SCS Team as well as to Promods Team. Mandelsoft shows that in some parts he did better job than Promods. The best is to have the best from both SCS and Promods. Problem is the way: In France, they also wanted to have the best from Promods and DLC. They replaced all Promods content with DLC. Then there wasn't developer and 2 years passed. 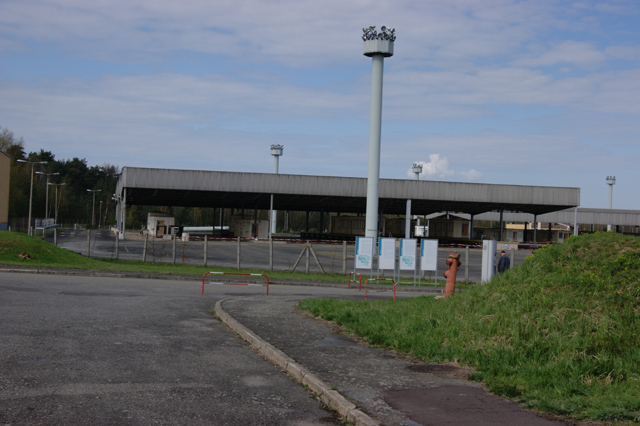 Now old Promods France is too old and can't be recovered. Because of that, I hope that ARP won't be replaced by SCS. SCS will always have up-to-date map and Promods team can add new SCS content which is better than Promods when they want. If part of ARP will be replaced and sheduled for returning, there is high probability that it will be gone forever. I hope that Promods team will consider this. Well, I haven't tested 1.32 SCS Germany but from my experience what makes SCS and Promods different is the focus. This might be the reason for the demands to keep Promods ARP and, actually, I don't think the worries are without reason. 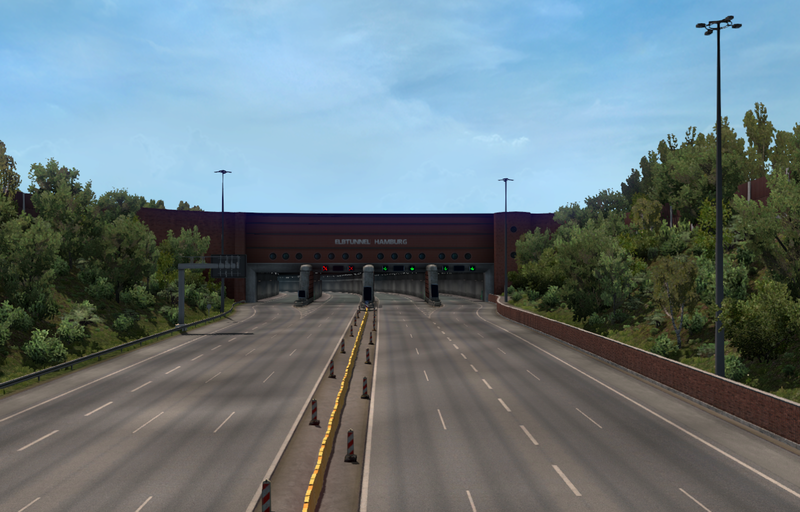 SCS tends to do better when it comes to models (as is clearly shown by comparison of Hamburg Elbtunnel) but Promods' strong point is innovation in road layout, signage and overall ingenuity. I don't think the criticism comes out of pure nostalgia, there's probably more to it. For me, it feels a bit like comparing a video game that's an old classic to a newer one that looks better but has fewer features to offer (which, in this case, could be road layout, additional cities, signage or little details). I haven't done testing so it's more or less speculation and I might be wrong, of course. Neither am I giving a vote for building new versions upon SCS's or Promod's work. What I want to say is that the input of some users here shouldn't be put aside too easily. @brainiac: Exactly that is my worry to - ProMods gets replaced by the new vanilla map and then nobody grafts the superior parts of old ProMods back onto the SCS version. A few other things have been written by people before me. Indeed there are many positive aspects in the new SCS version no doubt about that, but there are also many small mistakes that ruin the work in some way. For example: wrong lane count - I don't get it, when you rebuild a full intersection why use 1 lane instead of two in reality or two instead of three?Another example: some important roads/ Autobahnen are still missing; wrong signage; wrong details (for example trolley bus lines in Leipzig?! Come on!). Those may seem to occure as small mistakes but they destroy a lot of the atmosphere you tried to create as you start to look for them once you found one and eventually you'll find one after another. Don't get me wrong I appreciate that SCS finally realised that the older parts of the map need a rework and in my opinion they should have done so much earlier instead of adding some (ugly) new roads here and some over there. I would rather pay for a completly revised, detailed and accurate map than for some new cities and nice places while all the rest is still crap and I also don't like the way SCS still seems to think. Germany isn't just all about the Autobahn so I don't get why they want you to stick to them. Fortunately and unfortunately, SCS said that they will revisited the whole basr map step by step, they even have plans to expand scandinavia north but they stated that they will first revisit more areas and get progress om a new DLC.